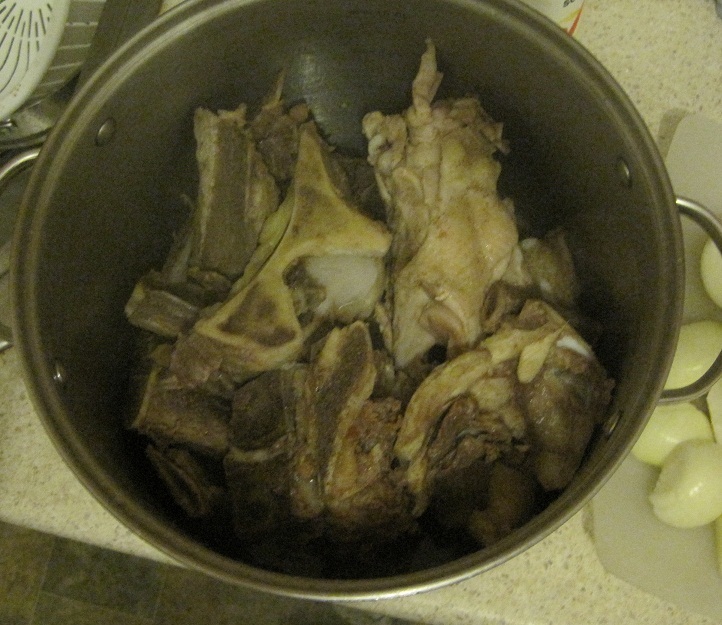 Scrub the pot, return the bones & cover with water. Add all the other ingredients. 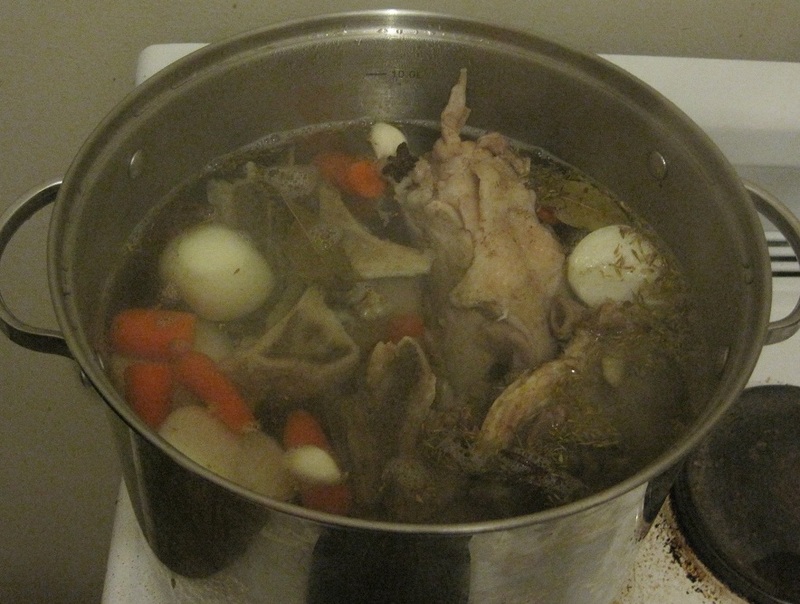 Bring to a boil, then simmer for 3 hours. Skim any scum that rises to the top on a regular basis. 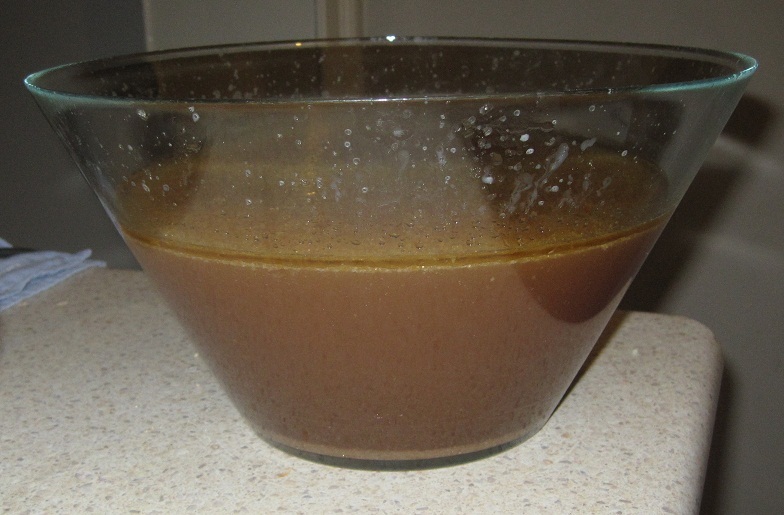 And voila, you are now ready to make a gravy or other dish. 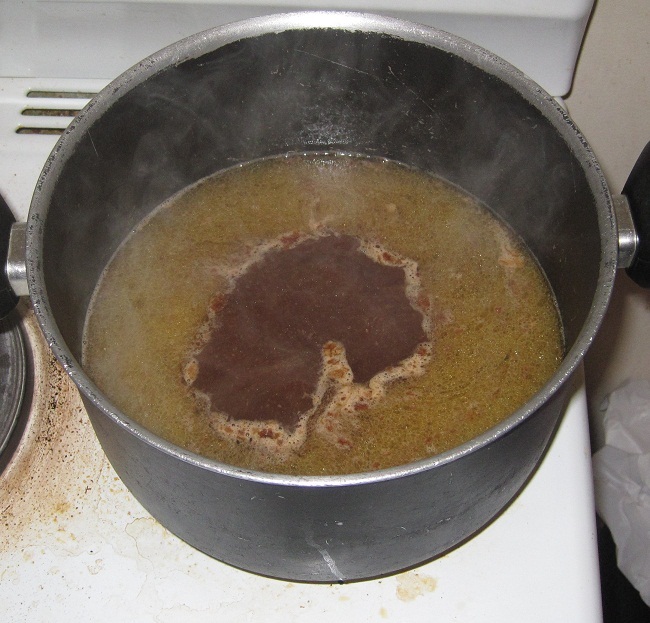 This entry was posted on June 28, 2012 at 9:09 pm and is filed under 3 - Likeable :|, Basics, Recipe Difficulty, Recipes, Simple, Soup/Broth with tags cooking, food blog, recipe. You can follow any responses to this entry through the RSS 2.0 feed. You can leave a response, or trackback from your own site.